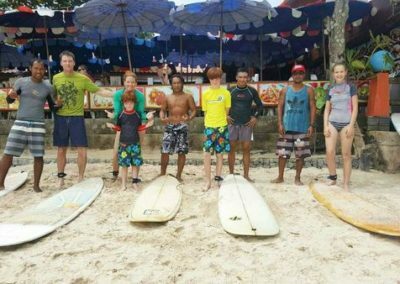 If you’ve made it this far in your endeavour on gaining a full knowledge about surfing before you throw yourself on a board atop the waves; take this last part with you too. Should you have further questions; that we didn’t touch upon in this article, please feel free to send them to us, so we can write and publish relevant articles regarding that. Without further due, let’s get to the last part of our 3 part mini-series about the science of surfing! 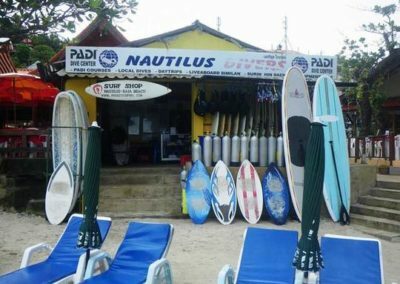 Why does a surfboard have a curved front edge? Everything from the biggest ocean liner to the smallest surfboard has a curved front edge. Why? If you push a curved edge over water, the curve makes water travel more quickly underneath than on top. This generates an upward force called lift that moves you up and slightly out of the water—an effect called planing. Because you’re partly out of the water, there’s less drag (water resistance) and you go faster. You can see planing happening on almost any boat as it picks up a bit of speed. With a hydrofoil—a kind of “surfing boat”—the planing is so spectacular that the entire craft lifts up out of the water. The same science is at work on a surfboard, only not quite so dramatic! Tides have nothing to do with waves. Tides are caused by the Moon and the Sun working together to “pull” the sea back and forth with their gravity, rather like a giant blanket moving up and down a bed. Tides change the depth of the water on your beach. When the tide is “in”, the waves come in further and break later; when the tide is “out”, the waves break further out. 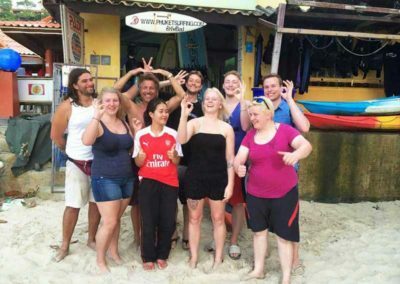 Depending on the profile of the seabed, a rising tide (one coming in) or a falling tide (one going out) will make the waves tend to break somewhat better or somewhat worse than usual, depending on the local seabed. There is no absolute rule that works everywhere: some places work well as high tide approaches; some work best when the tide is going out. 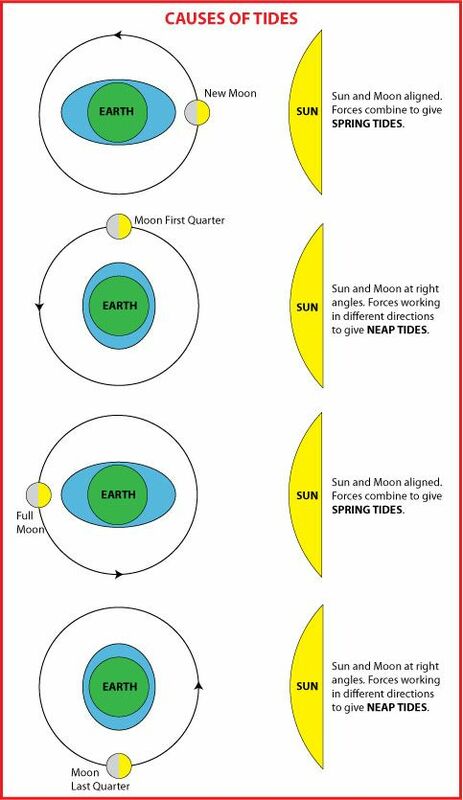 When the Moon and Sun line up, twice a month, they make higher tides than usual called spring tides, which give deeper water during high tides (when the tide is in) and shallower water at low tide (when the tide is out). In between the spring tides are neap tides, when the sea moves back and forth less than usual, high tides are less deep, and low tides are less shallow. 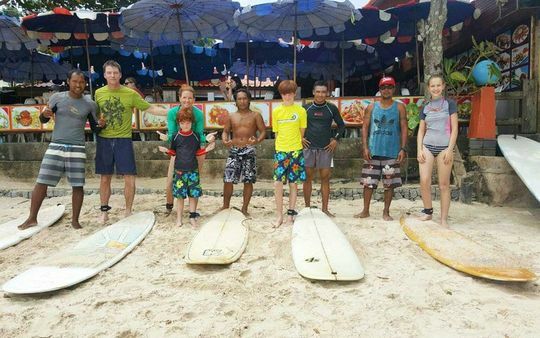 Again, depending on the seabed, high and low tides, and spring and neap tides, will make the surfing better or worse—but it varies wildly from place to place. If you’re in a place that needs deep water to make the waves break properly, the highest spring tides are going to be better than the lowest neap tides. But elsewhere, the opposite may be true. The synthetic rubber traps water next to your body, which provides a useful layer of insulation to keep you warm. 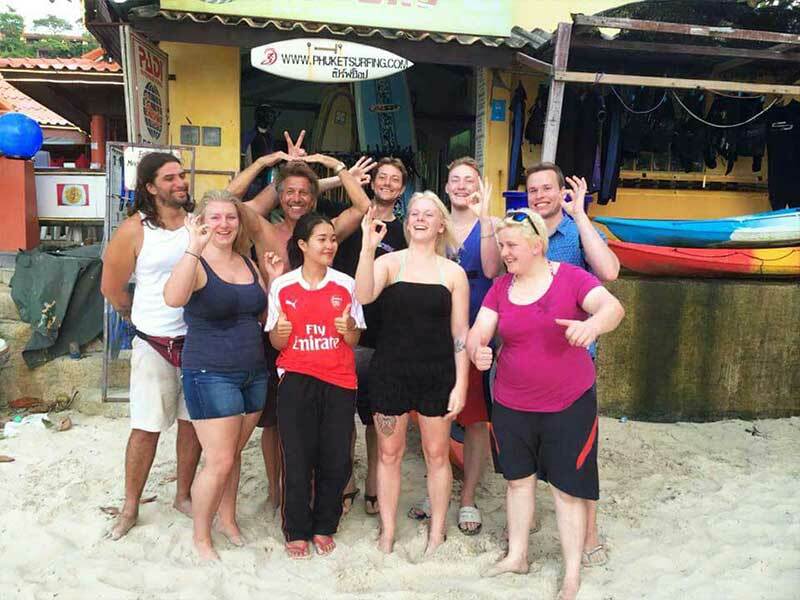 Read our article about wetsuits to find out more. Can science make you a better surfer? Of course! It won’t make you stand on the board any better. But if you understand what waves are, how they are made, and where they come from, you’ll have a much better idea of when the surf’s going to be up. And if you can predict when the waves are ready to ride, you’re halfway there already. If surfing is a quest for the perfect wave, science can at least point you in the right direction. 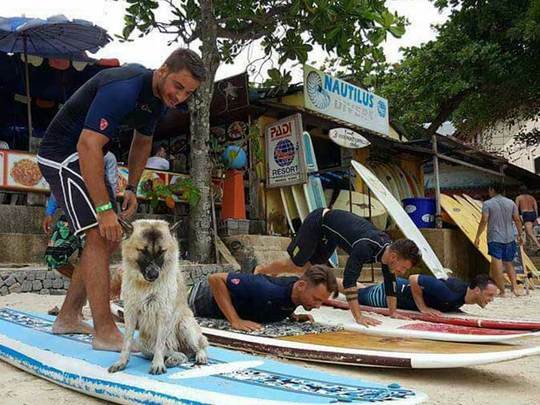 It might not make you a better surfer, but it certainly won’t make you any worse! 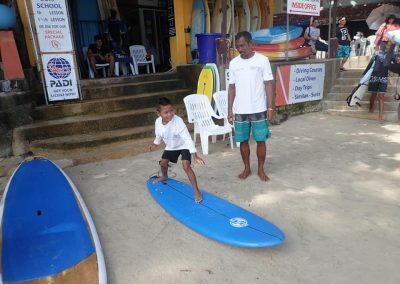 The development of affordable, lightweight, easy-to-manufacture surfboards, along with other innovations like the invention of wetsuits, helped to turn surfing into the major international sport we know today. That’s it – you’ve reached to the bottom of our mini-series. If you have any questions that you think we should add to the list of questions, please let us know via our contact form, or our Facebook page. 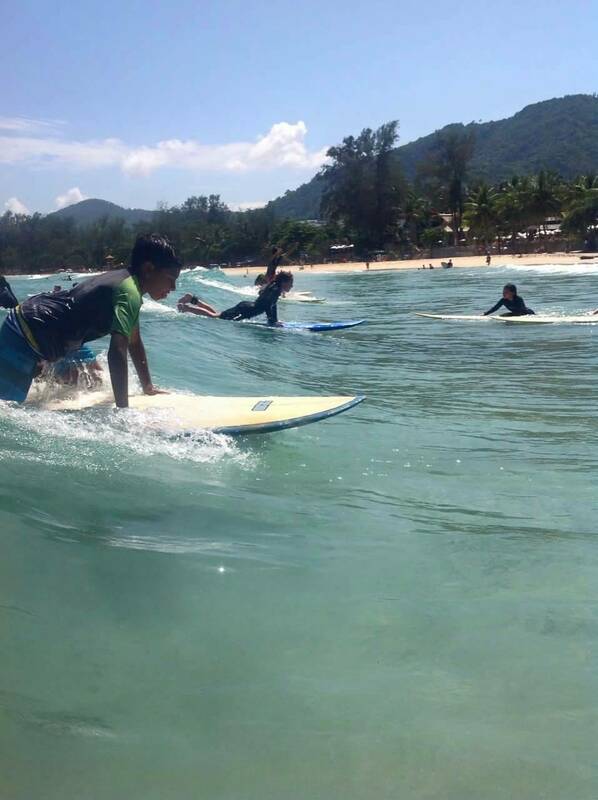 If you happen to be in Phuket and would like to go surfing; even if it is your first time, please do come visit us! 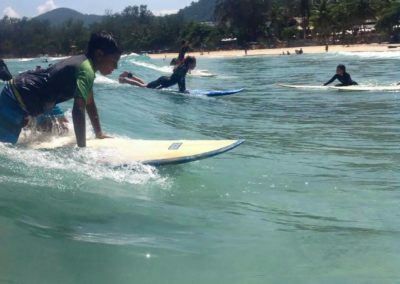 Copyright 2018 Phuket Surfing | Designed by Crazy Web Studio Co.,Ltd.